The distance between two stations was supposed to be determined from two pairs of synchronous optical observations. In addition, the optical observations were studied and analyzed in combination with one laser measurement. The expressions for the error of this distance have been obtained" and "the minimum error conditions have been investigated. Afaf M. Abd El-Hameed , 2012. The Accuracy of the Distance Between Two Stations using Synchronous Optical Observations of the Artificial Satellites in Combination with One Laser Measurement. Space Research Journal, 5: 10-14. In the previous studies, many authors considered that, the conditions at which the directions from one station to another was determined with the highest accuracy from synchronous optical observations (Batrakove, 1969; Lambeck, 1968; Zhongolovitch, 1970; Allan and Weiss, 1980; Liao, 1985). Also, GPS was used for determined the acceleration and torsion displacements data of a Yonghe bridge tower (Kaloop and Hui, 2009). In the previous study, GPS system was employed for solving the problem of mobile machine localization (Yuan et al., 2010). The system error of this kind of system was determined and corrected by lidar sensors. In this case, lidar scan-matching was proposed to correct the error of GPS to localize a mobile machine accurately. Since, the laser measurements of the range to satellites became more accurate and wide spread. Laser optical devices were proposed for the surface detection on defect features concerning the past low speed, smaller size in detection and less inconvenience in the testing or operation (Chu et al., 2011). Also, laser optical observation was considered for illuminating artificial satellites and other space objects from H-SLR station with determined the accuracy of the calculations (Ibrahim et al., 2011). It was of interest to consider more general problem in which, besides the usual synchronous optical observations of two positions of the satellite from two stations, one measurement of the range was available (Gili et al., 2000; Hakli, 2004; Martin and Jahn, 2000; Eckl et al., 2001). Furthermore (Ekuma, 2007) considered the model, which describing the laser light and optical objects, for studying the infinite nature of most distant bodies. In addition, laser-satellite optical observations in SLR station were achieved for investigating and studying the effect of the satellite signatures on the data fitting accuracy (Hanna et al., 2011). The analytical expressions for the error of the distance should be presented depending on errors of measurements. In addition, the problem of conditions, which give the minimum of this error, was taken in our consideration. For the sake of simplicity, we introduced the frame of reference in the following way seen in Fig. 1. The origin was placed at the first station M1, the Z-axis was passed through the second station M2. 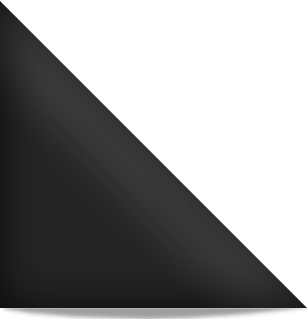 The XZ plane was passed through the first observed satellite S1 and Y-axis was completed the right hand system, with X and Z-axis. In this frame of reference, the error of Z-coordinate of M2 station was equivalent to the error of the distance. Vectors having origin at Mi station and the end at Sj satellite and ρij were topocentric distance (from the station to the satellite), θij, φij were angular coordinates of the satellite measured as seen from Fig. 1.
where, the angles φ21 and (θ21-θ11) may be considered as naturally independent variables. The expression between brackets in the right hand side of Eq. 8 has minimum at cos2 θ21 = cos2 (θ21-θ11) = 0. It corresponds to sin2 θ21 = 1 (i.e., when sin2 θ21, is maximum). The received conditions from Eq. 9, gave very small error in determining the distance between two stations. It was evident that we could speak only about the approximation to these ideal conditions, which were allowed by the visibility conditions and by the requirement of the negligibility of differential refraction effect, which influence the determination of the position noticeably at small angles above the horizon. Allan, D.W. and M.A. Weiss, 1980. Accurate time and frequency transfer during common-view of a gps satellite. Proceedings of the 34th Annual Frequency Control Symposium, May 28-30, 1980, USA., pp: 334-346. Batrakove, Y.V., 1969. On the necessity of accurate observations of A.E.S. for geodetical uses. Bulletin Optical Observations of A.E.S., No.55, p: 11-18. Chu, H., Z. Xie, X. Xu, L. Zhou and Q. Liu, 2011. Inspection and recognition of generalized surface defect for precise optical elements. Inform. Technol. J., 10: 1395-1401. Eckl, M.C., R.A. Snay, T. Soler, M.W. Cline and G.L. Mader, 2001. Accuracy of GPS-derived relative positions as a function of interstation distance and observing-session duration. J. Geod., 75: 633-640. Ekuma, E.C., 2007. Spatiotemporal nature of scattered laser light and its application. Res. J. Phys., 1: 60-63. Gili, J.A., J. Corominas and J. Rius, 2000. Using Global Positioning system techniques in landslide monitoring. Eng. Geol., 55: 167-192. Hakli, P., 2004. Practical test on accuracy and usability of virtual reference station method in Finland. Proceedings of FIG Working Week, May 22-27, 2004, Athens, Greece. -. Hanna, Y.S., M. Ibrahim and S.W. Samwel, 2011. Spline and overlap techniques for analyzing slr data. Space Res. J.
Kaloop, M.R. and H. Li, 2009. Tower bridge movement analysis with GPS and accelerometer techniques: Case study yonghe tower bridge. Inform. Technol. J., 8: 1213-1220. Lambeck, K., 1968. Scaling a satellite triangulation net with laser range measurements. Stud. Geophys. Geod., 12: 339-349. Liao, D., 1985. Determination of the distance between two adjacent stations, the observational vertical increment and the observational time interval in optimum sense. Adv. Atmos. Sci., 2: 316-324. Martin, S. and C.H. Jahn, 2000. Experiences in set-up and usage of a Geodetic real-time differential correction network. Earth Planets Space, 52: 851-855. Yuan, X., C.X. Zhao and Z.M. Tang, 2010. Lidar scan-matching for mobile robot localization. Inform. Technol. J., 9: 27-33. Zhongolovitch, J.D., 1970. A method of determining the Earth chord direction from the totality of synchronous planes. Bulletin Optical Observations of AES., pp: 5-17 and pp: 77-93.